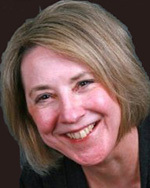 Jeanie has held positions of leadership and responsibility at a broad spectrum of institutions and organizations: president for nine years at Nebraska Wesleyan University; dean at Tulane University, Hamline University, and Southwestern University; teaching faculty at Rhodes College, Gustavus Adolphus College, Stonehill College, the University of Nebraska, and Marshall University; director and higher education specialist at TIAA-CREF; and associate vice president of development at the University of Minnesota Medical Foundation. As president of Nebraska Wesleyan, she oversaw the restructuring of the Board of Trustees; academic program development and growth to include masters degrees and a pre-collegiate concurrent enrollment program; the design and implementation of a forward-looking strategic plan; a doubling of the student headcount; and the construction of new campus facilities, as well as the establishment of a satellite campus in Omaha. Dr. Watson has also been active professionally on multiple national higher education boards and committees, e.g., American Council on Education (ACE); Board of Directors of the Council of Independent Colleges (CIC); the National Association of Independent Colleges and Universities (NAICU); University Senate of the United Methodist Church; Board of Directors of the National Association of Schools and Colleges of the United Methodist Church; the Executive Board of Higher Education Resource Services (HERS); and the NCAA Division III Presidents Council. She has also consulted at colleges and universities across the country. She was post-doctoral Visiting Scholar at Columbia University and studied at an NEH Summer Seminar at Princeton and the New Presidents Program at Harvard. She received her Ph.D. from Ohio, M.A. from Midwestern State, and B.A. from Baylor. She is the author or editor for six books and numerous articles.